Omnichannel Marketing isn’t just another meaningless buzzword. It marks a significant shift in how brands need to interact with potential customers. 90% of consumers start a task on one device and finish it on another. * When the customer journey can start or end at any time, on any channel or mobile device, it’s critical for brands to provide a seamless experience across them all. It’s what makes digital marketing today so complex — and why so many companies are embracing omnichannel marketing strategies to engage, convert, and retain customers. So how do you define omnichannel marketing success? And how does it compare to multichannel strategies? Omnichannel vs Multichannel Marketing: What’s in Common? Both multi-channel and omnichannel marketing use multiple channels to reach potential customers, and at first glance, there doesn’t appear to be much difference between the two approaches. But dig a bit deeper and you’ll see they’re very different when it comes to strategy and execution. What is omnichannel marketing? Omnichannel marketing provides potential customers with an integrated brand experience that is seamless between all channels, from desktop and mobile phone to brick-and-mortar. Omnichannel vs Multi-Channel Marketing: What’s the Difference? Although the differences may appear to be subtle, the strategies themselves have very different approaches and goals. Multi-channel marketing aims to widen a campaign’s reach by broadcasting on the maximum number of channels. Most companies have a paid media strategy, social media strategy, email marketing strategy, and so on. The goal is to cast a wide net and reach potential customers wherever they are, keeping the brand top-of-mind. All omnichannel campaigns use multiple channels, but not all multi-channel campaigns are omnichannel. You can have engaging social media campaigns, popular blog content, and a stunning website — but if it doesn’t all work together, it’s not omnichannel. Omnichannel marketing unifies campaigns and messaging across channels to deliver a complete, consistent customer experience. Every touchpoint nudges them in the same direction. Brands who are successful in creating a strong omnichannel strategy understand how their customers learn about, purchase, and use their product or service, and then apply that understanding to remove as many barriers as possible from the customer journey. Here are a few omnichannel marketing examples from brands who are doing omnichannel right. But Amazon is also a great example of getting the little things right. For instance, add an item to your cart on the mobile app, and it instantly appears in your cart on the website. Amazon knows that many shoppers browsing products in a brick-and-mortar store will consult their Amazon app to read reviews and check prices before completing a purchase. 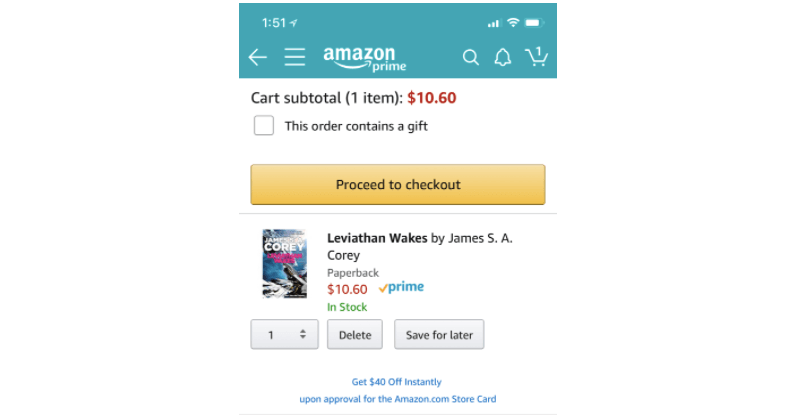 Because they understand the buying process, they make it easy for users who find a better deal or superior product on the Amazon app to add the item to their cart and either complete their purchase immediately or save it in their carts and finish checking out at home. Starbucks is a master at using the personalization and convenience of mobile to engage customers. App users can load money on a rewards card, earn free food and drinks, save customized drink preferences, find nearby locations, submit an order, and pay all on mobile. The app will automatically calculate transit time to ensure the customer’s drink is hot and waiting the moment they arrive, with no standing in line. Users can check and reload their card via the mobile app, website, or in-store, and any change to the card or user profile gets updated across all channels instantly. Waiting to order a latte and realize your balance is low? Add money via the mobile app and the cashier will see the new balance by the time you check out. 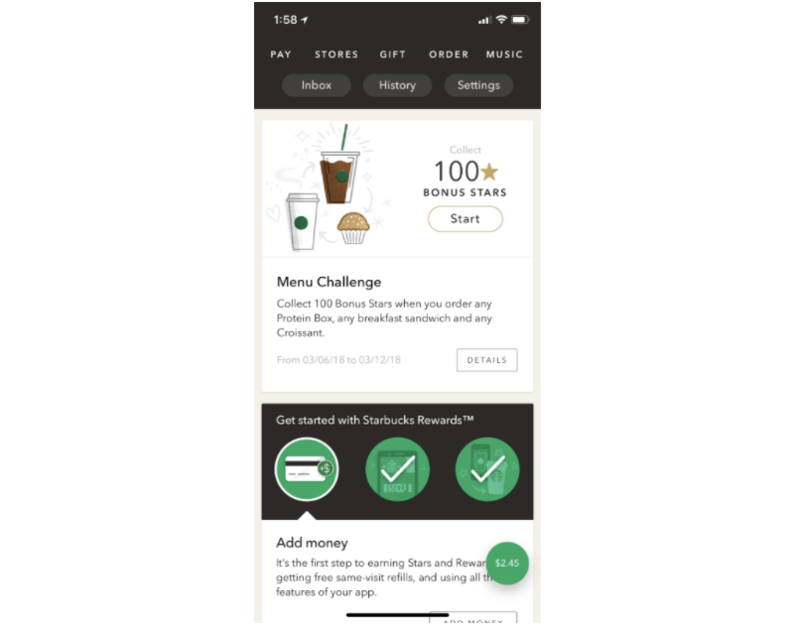 Starbucks knows that music is a key part of their customer experience, and their mobile app highlights this. 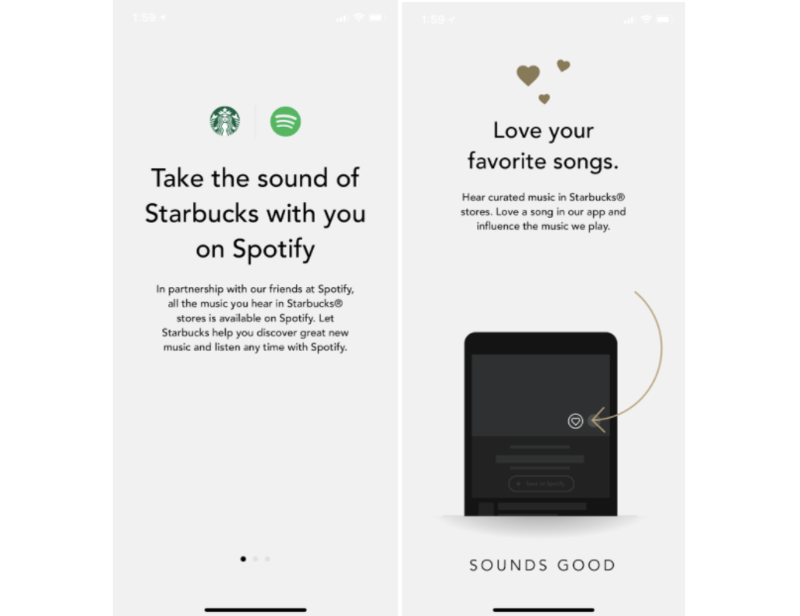 A “Music” button is featured on their top navigation bar, which lets users connect to curated playlists on Spotify, replicating the customer’s cafe experience no matter where they are. What’s more, users can influence the music that’s piped through the in-store speakers by “liking” songs. 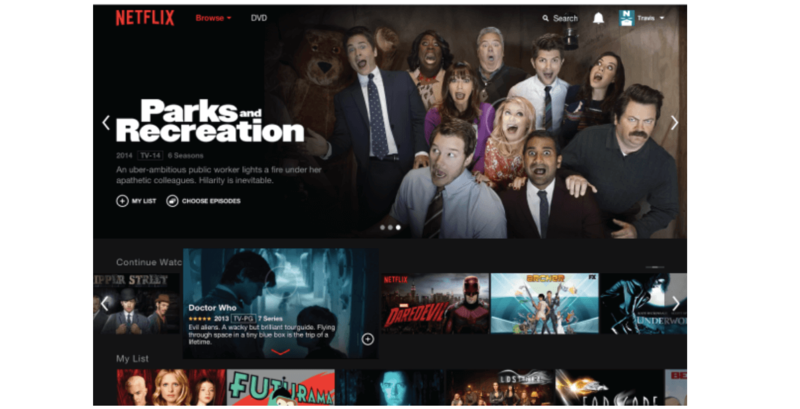 Back in 2015, Netflix redesigned their massively popular website to match what users experience on their phones, tablets, and TVs. 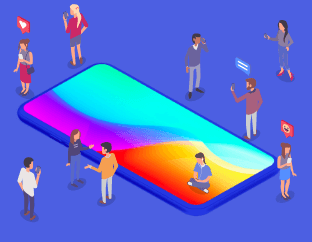 The user experience is now completely seamless between devices, making it easy for users to pick up right where they left off in a matter of seconds. If you stop watching a video on your phone or tablet, you can hit play on your smart TV or laptop to continue. Every show you start watching is conveniently accessible in a featured “Continue Watching” list, or you can rewatch an old favorite from the “Watch It Again” list. This popular online glasses retailer is a perfect example of a consistent cross-channel customer experience. Design and messaging are unified on their website, mobile app, and social channels for a cohesive brand experience. 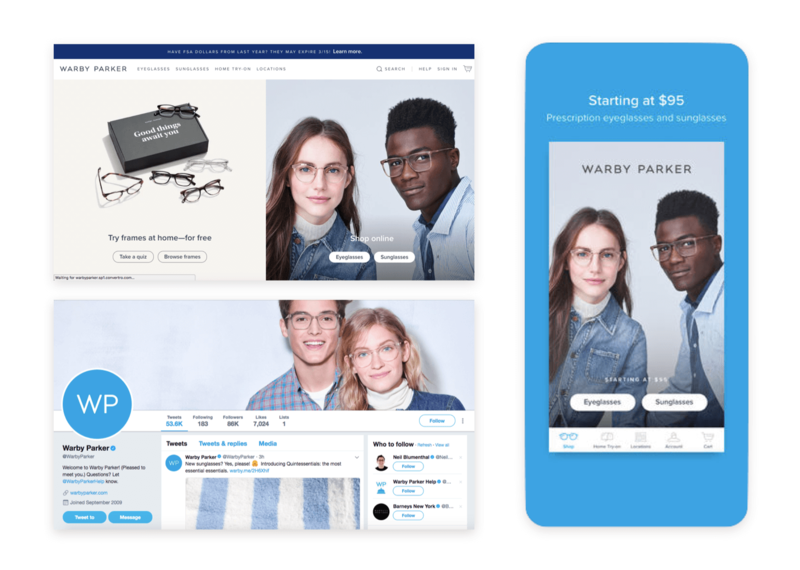 Their popular Home Try On feature gives users a convenient, risk-free way to test drive frames without pressure to buy, and the Warby Parker app takes the experience a step further. It uses the iPhone X’s front-facing camera to scan the user’s face and recommend complementary frames, which they can then try free for a full 5 days. 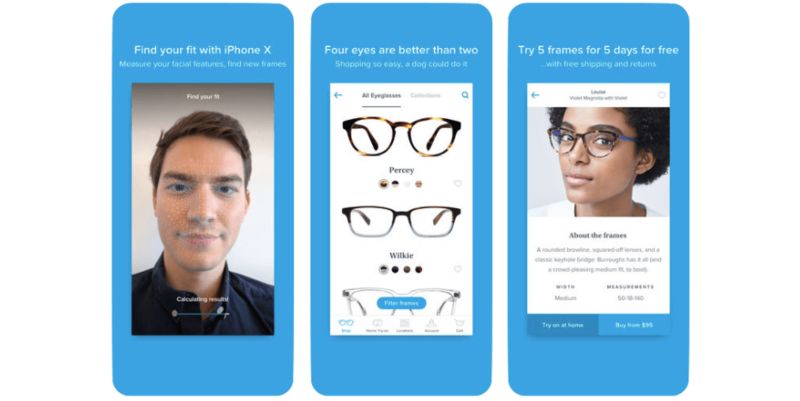 Warby Parker knows that a big hurdle that keeps potential customers from using their service is getting a prescription from an eye doctor. So they created an app called Prescription Check that lets users skip the trip to the doctor’s office. It walks users through a brief eye exam that’s automatically sent to a doctor, who can then assess how you’re seeing through your glasses and provide an updated prescription. With consumers becoming more connected than ever, the customer journey will keep evolving. Omnichannel strategies will continue to be the future of marketing for brands looking to create lasting relationships with their customers. Learn how CleverTap Journeys makes building automated omnichannel marketing campaigns simple and start building brand loyalty for your app.